Yesterday was pretty cool…getting our own Pacific oysters from a public beach in Hood Canal, shucking and cleaning them right there in the dinghy, coming back to Airship and cooking 'em up all yummy! Into to fridge with that until we need it. 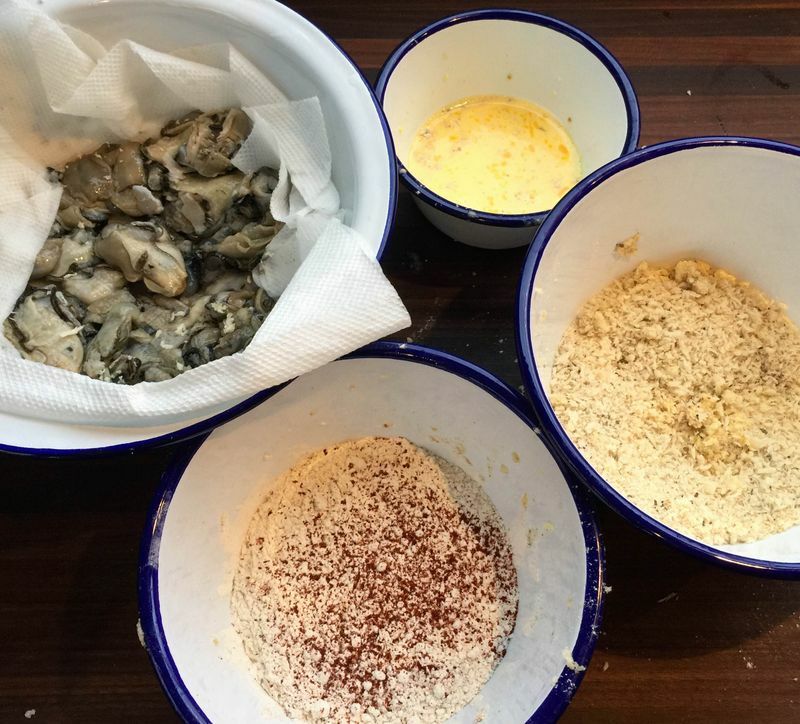 Next, we mixed up in Bowl 1 – an egg dip (egg, milk), in Bowl 2 – a flour dip (flour, pepper, garlic powder, paprika, chili powder) … (I would have used cayenne instead of the paprika/chili powder but we apparently don't have cayenne on the boat…yet.). Then, Bowl 3 was the panko coating (panko breadcrumbs, with some dried oregano and basil). 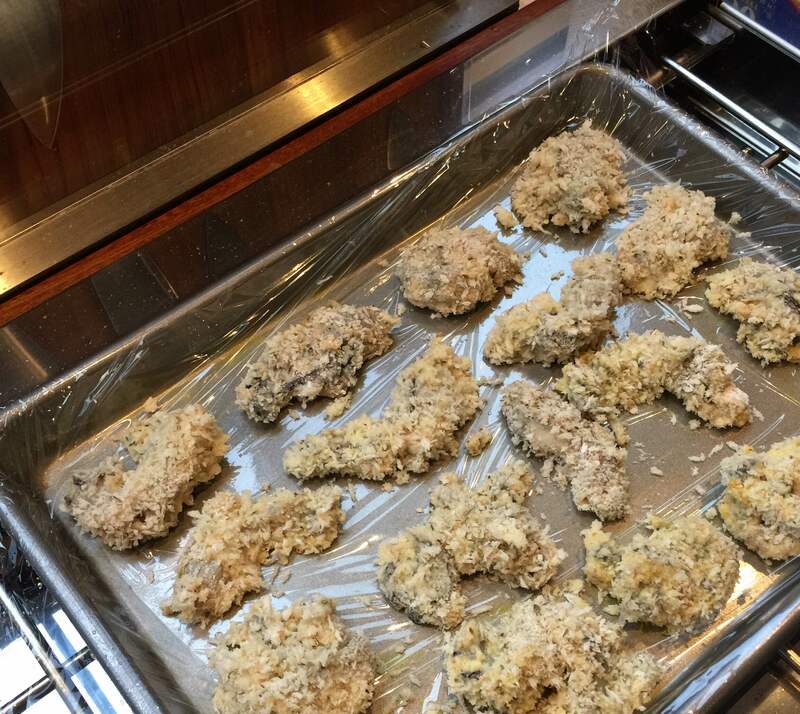 I rinsed and patted the oysters dry, then did (1) egg dip (2) flour dip (3) another egg dip, and then (4) panko coating. Coated oysters went onto a tray with plastic wrap, layered with plastic between oyster layers. That tray went into the fridge for an hour or so until we were ready to cook. 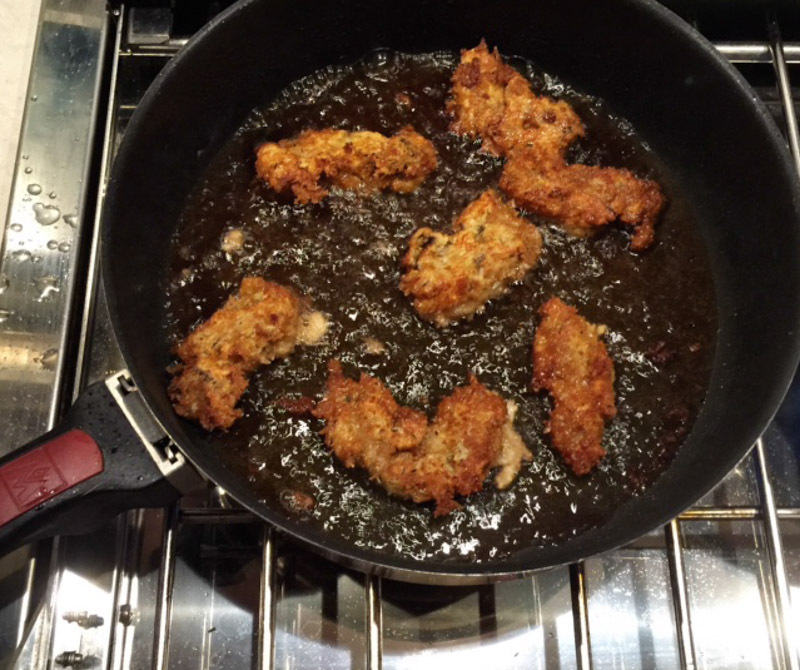 Several recipes I found said to use peanut oil for frying, butI used coconut oil. Fry them until golden brown on one side (about a minute and a half), turn and brown the other side for another minute or so. Drain on paper towels and serve immediately with the hot sauce (which was really good!) 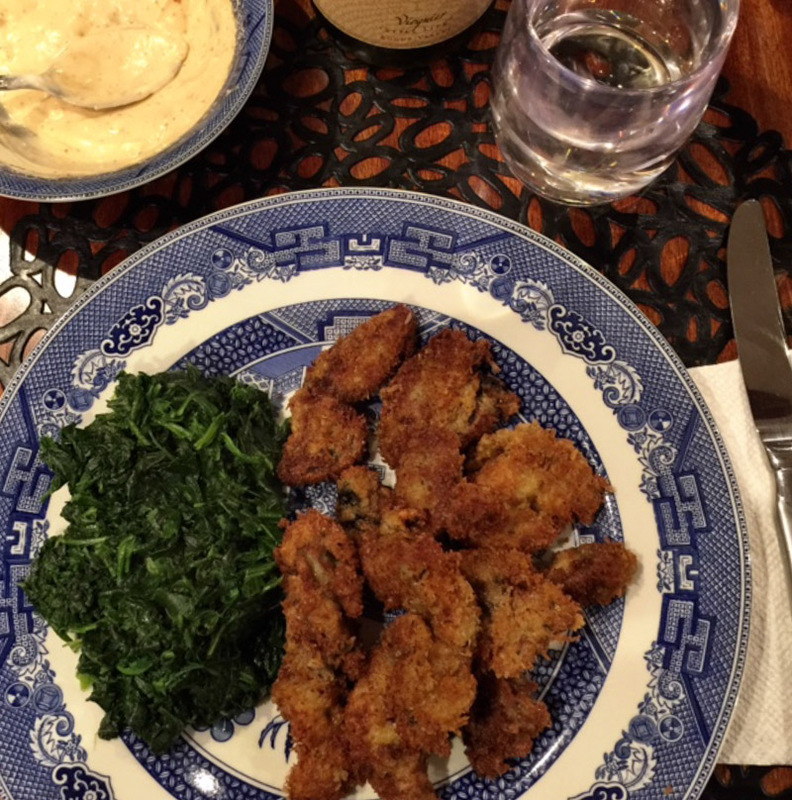 I served ours with sautéed spinach and a bottle of Dominio IV 2013 Viognier from Oregon. Previous Post We Harvested Our Own Oysters!